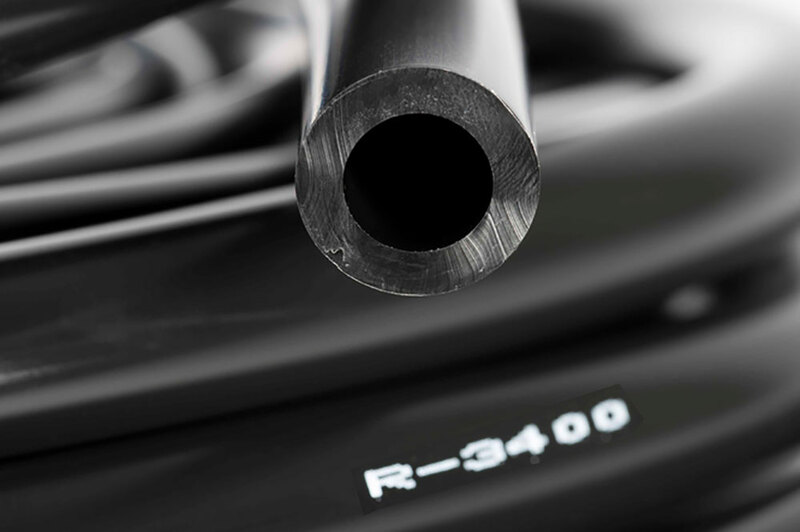 Ideal for virtually any permanent or temporary chemical transfer application, Versilon R-3400 tubing combines suppleness and flexibility with resistance to a wide range of chemicals. It shows exceptional resistance to strong acids and many alkalies. The flexibility of Versilon R-3400 tubing also makes it quick and easy to put into service, providing considerable savings on installation time and cost when compared to rigid piping systems. Black in color, Versilon R-3400 is resistant to ultraviolet light, ozone and weathering, making it ideal for many outdoor applications. Standard inventoried sizes offer sufficient wall thickness to block transmission of all UV light.